The van is great. It has made a huge improvement to our transportation needs. We are going on vacation next week and will put it to good use. AMS Vans makes mobility freedom easy and affordable. Browse our massive inventory of new and used handicap vehicles. Or, send us an email and tell us exactly what you want — we’ll find it and delivery it to your driveway. New and used wheelchair vans can be delivered right to your home in Asheville, North Carolina by AMS Vans in as little as 24 hours! By purchasing a handicap van online with the assistance of our trained mobility consultants, you stay at home, handle your daily obligations, and let us do all the work! After the sale is complete, our mobility professional can bring your wheelchair van to anywhere in the Asheville, NC area, including Hendersonville, Waynesville, and Black Mountain in short order. Take advantage of our convenient delivery service. Our mobility professional will haul your wheelchair van by trailer direct to your home or office in Asheville, North Carolina for you. Drive your handicap van home yourself, and you could be eligible for a pick-up discount off the price of the van! Our facility is located nearby in Atlanta, GA, and we welcome you to visit! We want to be sure you are completely confident operating your wheelchair van on your own before we leave you with the keys. Our mobility professional will extend our signature "White Glove Service" at the time of delivery to take advantage of the opportunity to spend quality time with you on a personal level to show your specific handicap van to you. We'll demonstrate all the factory and accessible features of your van, give you important safety and maintenance tips, and answer all your questions before we leave. 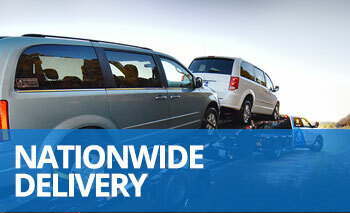 To ensure your complete satisfaction, we guarantee all our wheelchair vans at the time of delivery. If you think your handicap van wasn't accurately represented during the sale or on our website, tell the mobility professional at the time of delivery. With no high-pressure sales, we will take back the wheelchair van to our facility, terminate the sale, and process your refund. If you would like another opinion, we will gladly meet you at any mechanic in the Asheville, North Carolina area and wait with you while an inspection is completed. After you receive your wheelchair van, share your experience with AMS Vans with others and make money doing so! Our Customer Referral Program gives you a cash bonus for every customer you refer who buys a handicap van and mentions your name during the sale process. Tell friends and family about your personal experience with our impeccable customer care and encourage them to read some of the hundreds of customer testimonials on our website! 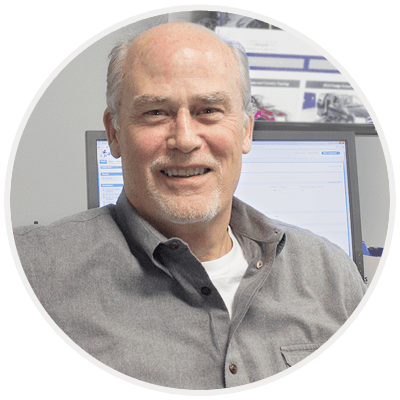 Contact us at 800-775-VANS (8267) to speak with one of our mobility consultants to learn more about our innovative wheelchair van conversions. We will assist you in picking out the style of handicap van that would benefit you the most, and we'll search our inventory to find several suggestions that meet all your criteria. After picking out your favorite, we will work with you to complete the entire sale process while you stay at home in Asheville, NC. After the sale is complete, our mobility professional can deliver your wheelchair van direct to you in as little as 24 hours! You've probably already seen a handicap van that was delivered to Asheville, NC by us, and we look forward to coming back to deliver yours!